Google are introducing a new self-driving car, it is designed to be hands-free off the steering wheel and having safely completed over 200,000 miles of computer-led driving. It let the technical computer take over a car, as it's a promising autonomous driving technology may one day deliver more efficient and safety if the standards can be met for the blind community. That is why are Google working on the project, such as using the Toyota Prius for testing the autonomous driving technology on many times. 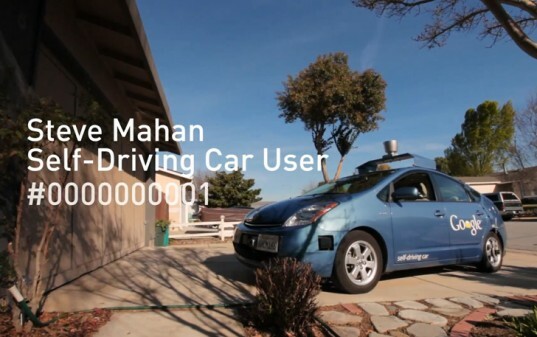 Google engineers let Steve Mahan with a 95% vision loss, experienced his first self-driving car are equipped with several sensors and a radar for preventing accidents. This technology also use the voice command feature to control the car. Steve just chat with Google engineer, and enjoyed to eat the fastfood only while this car drive by itself! Amazing! As Deaf and disability person, I am very happy that Google is developing this technology to help the disability community that should be not left in our world! Hope this type of technology can open up so many doors for people with disabilities and improve their quality of life instantly. Thank you to Google for making their dream become true! If me, I sure want this friendly and efficient car, then I can enjoy to eat food and play my tablet without driving car! Cool! Every Deaf must drive to focus where they go so, they cannot SMS - text messaging and chat in sign language. If a traffic lamp is red stop, Deaf friends only can chat in the sign language, correct? So, they are driving so carefully.